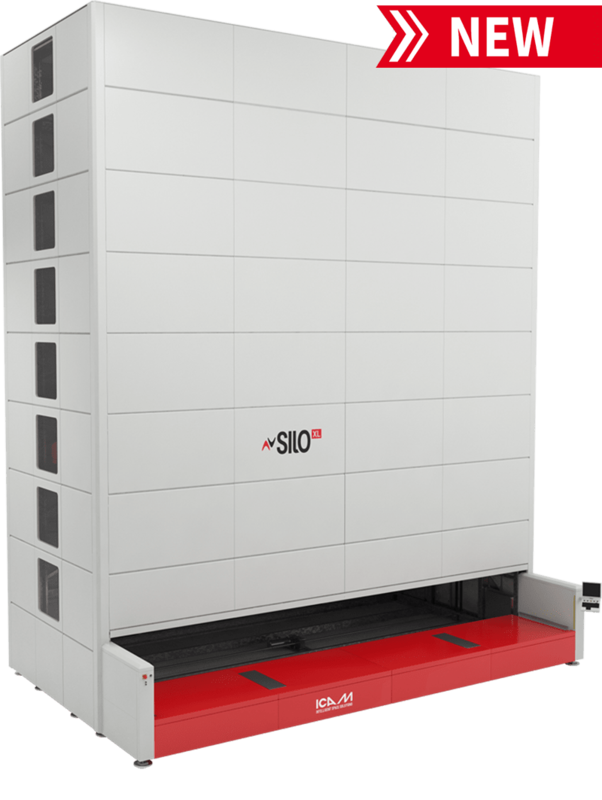 Silo XL is a single-column vertical lift module for intensive storage and safe handling of long and/or heavy items. 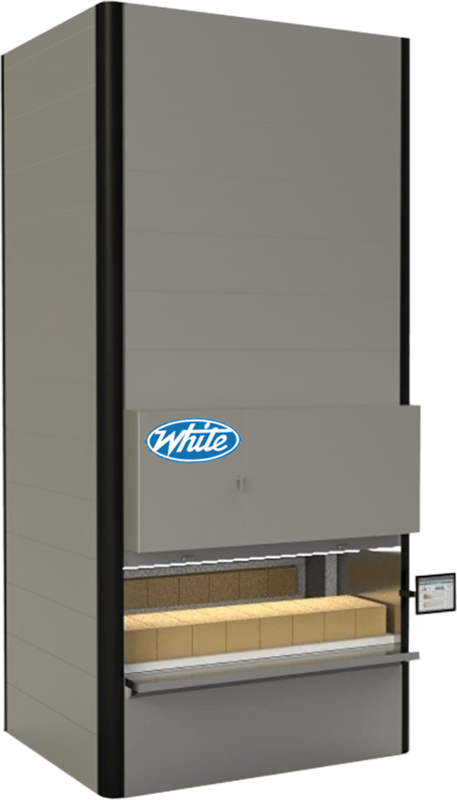 Silo XL provides capacities over 23’ in length and over 2000 lbs per tray. 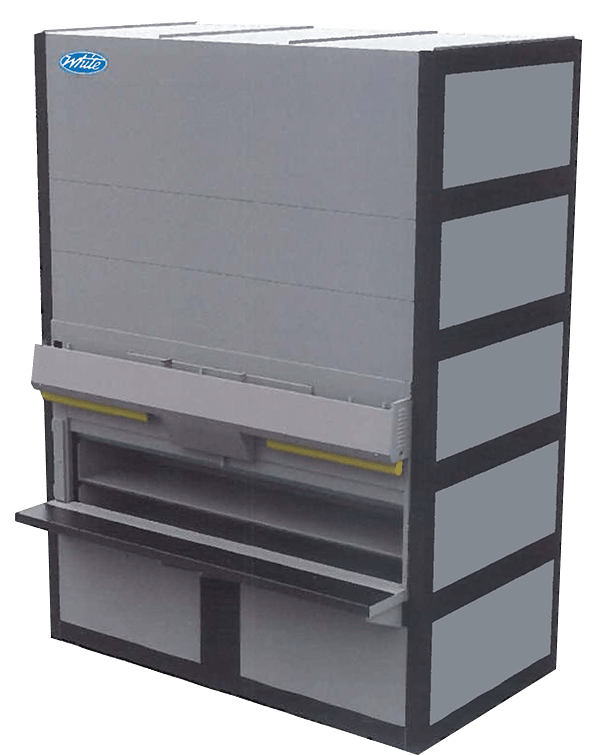 SILO XL is a single–column vertical storage system with shifting trays for the concentrated storage and safe handling of long and/or heavy items. 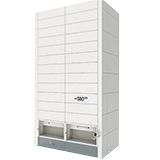 Thanks to its vertical development, SILOXL ensures maximum exploitation of any available vertical space within a minimum footprint. 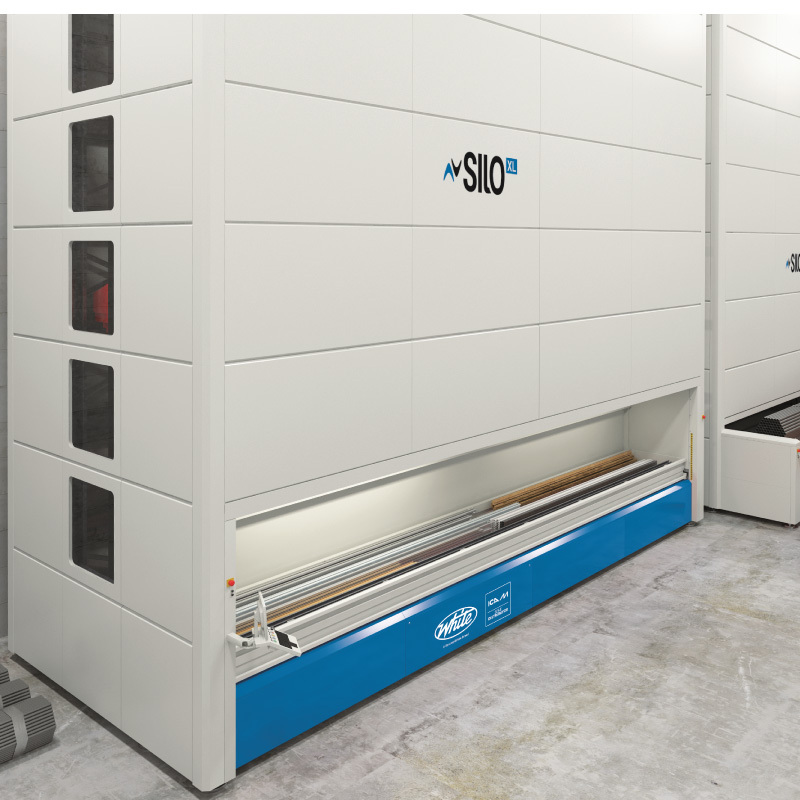 The tray load capacity increase (from 750 kg to 999 kg) and the load cells installed as standard on the access opening for the constant check of the weight of the stored material, make the new SILOXL VLM the ideal solution for all applications who require high load and maximum reliability. 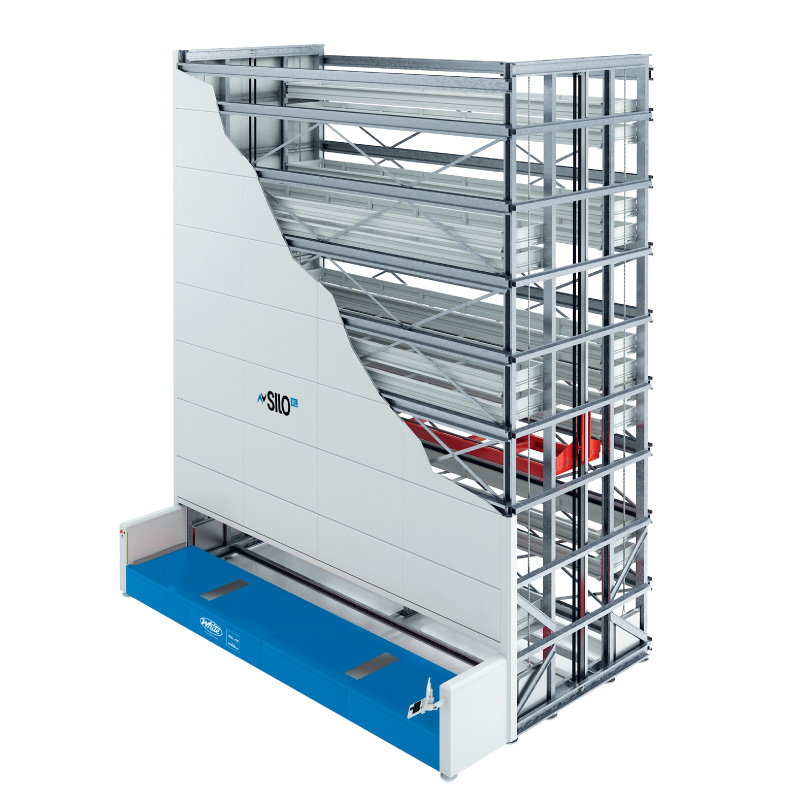 The access window, available in the internal, external and extended up to 1,600 mm, ensure the ergonomic and safe handling of the stored items. 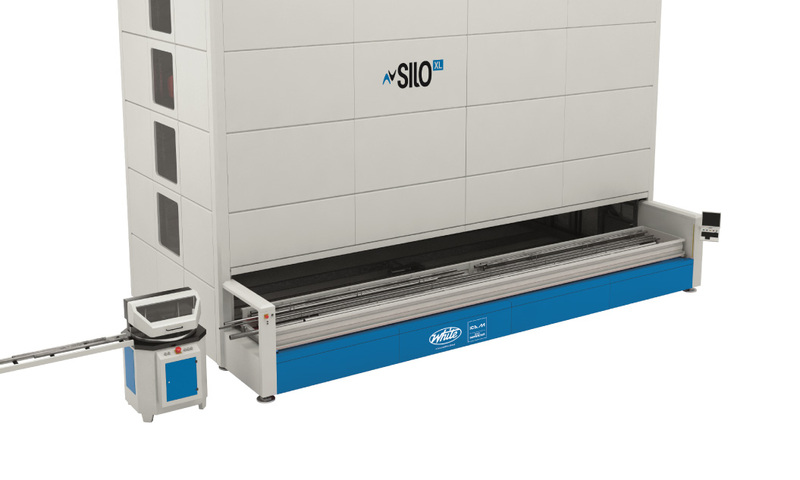 The external access opening can be equipped with a side opening in order to facilitate the picking and retrieval of long items and transfer them to the machine tools, such as cutters, located near the VLM. Furthermore, the external access opening can be equipped with an automatic device for the loading of the items within the tray. 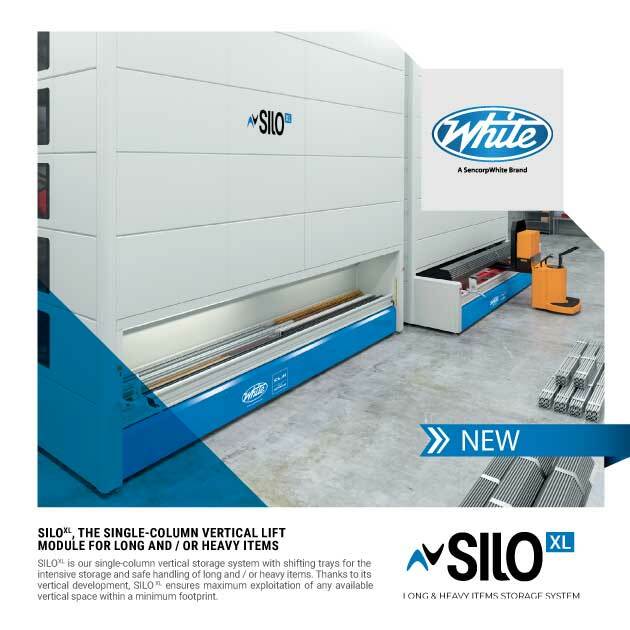 SILO XL is able to exploit every inch of available space, not only vertically but also horizontally, allowing for the creation of storage systems and facilitating installation in any type of environment (low-roofed premises, basements, multi-level premises, areas with pillars and with a complex layout), or even outdoors.